​I wasn't a "Cool Kid"
I wasn't a cool kid in school. Like, never, or even close. I remember so vividly wanting to be a part of that world, to fit in, to "feel normal". This theme continued for most of my life. I was the "squeaky wheel", the "feather ruffler" the one that would automatically cause people to stop whispering and stand a little straighter when I walked by, like they would get in trouble if I heard what they were saying or doing, and the minute I was gone the whispers would start again. I was the one that wasn't asked to be parts of groups or teams or leadership positions. I was an Outkast and it hurt, like a visceral pain through my heart that I can still feel when I go back to those moments and those moments still happen to me even today. I will never be like everyone else. Facing that shadows head on nearly consumed me but I did it and the other side of that Shadow is incredible. I wasn't a cook kid, I didn't fit it and I will never fit in. I am at peace with that now, it has taken me a long, long time, a lot of tissues, journaling and soul searching. I think the greatest impact for me though has been my recent work connecting with other women and girls JUST LIKE ME! What I didn't know as a child and what I'm still learning today that there are other women out there that have been carrying this "secret", guarding it, hiding it, trying to make sure people never find out that they never fit in, that they aren't like everyone else. We don't want to share out battle scars, re-opening wounds still raw and for many that will remain raw until the day they leave this earth. But what happens if we share the secret, it we let it out, we speak our truth and we share that we aren't the cool kids and that we don't fit in? Well that my amazing friends, is when *MaGIc" happens. What I have learned over the last year or so is that these women, these girls who are just like me have an underlying theme. You see, we all have the power to join those "cool kids" and be just like them. Yup, you could, but it would take sacrificing a lot, and for someone like me and many of the women and girls I connect with that would mean compromising a piece of our soul that we just aren't willing to give up. What I have learned are that those of us who don't fall into the "everyday crowd", the "non-cool kids" well we are so aligned with our core values and connected to our spirit that we understand that in order to be a part of that crowd would mean compromising on our own views and beliefs and that is not something a leader can do. That is not something that someone who is "extra-ordinary" can do. We understand at a subconscious level that becoming parts of those groups or crowds means conformity and for some that is ok but for others like myself we just can't do it even trying brings up physical and emotional feelings that are instant red flags for us. 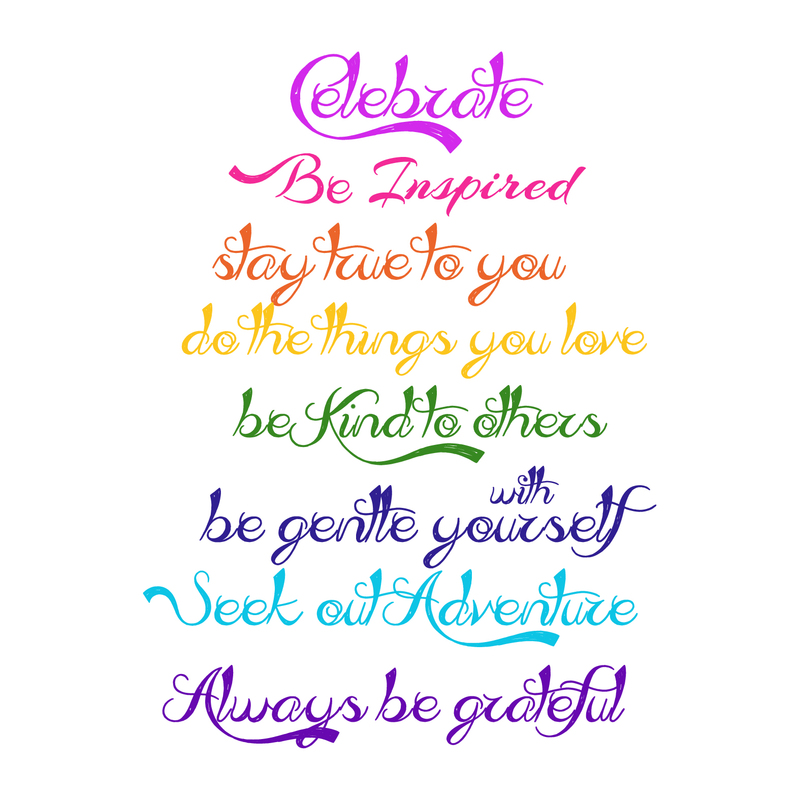 ​With every woman and girl I have interviewed that I consider to be extra-ordinary this underlying theme always arises. ALWAYS. EVER.SINGLE.TIME. Every woman in leadership from politicians, to business owners to althetes, artists and the change makers of the world. So having all of this information I naturally wanted to teach my daughters this. My sweet Alexa, 9, just shy of 10 years old has been feeling this for a long time and I could see all the signs when she was little. There were parts of me that wished at times for her to just "be normal" to be the popular girl, to fall in with the crowd and have an easier experience than my own journey but at the same time I understood that would mean that I could be raising a "mean girl" a "bully" or someone who didn't fiercely care about others, and advocate for change, just like myself and well quite frankly, that scared me even more. We talk daily about friendships and finding good friends and there are often many days where she comes home frustrated or sad by some of the actions of her peers and what I see so clearly is that she is just like me. It is a moment that excites me and terrifies me at the same time because like all parents, I don't want her to have those moments of pain trying to find her place in the world. But what my Alexa has that I never had is something that she helped me to create. You see, isolation is one of the leading causes of anxiety and depression in teen and tween girls. These feelings of "not feeling normal" or feeling alone or not like everyone else can bring girls to dark places when they are young and that is why one of the reasons for our platform was our Inspiring Stories series in which I wanted to fill girls heads with stories of girls JUST LIKE THEM. I wanted them to hear from extra-ordinary women and girls how they too weren't the "cool kids" and didn't feel normal" in the hopes that hearing these stories would help to normalize their experience and make them feel like they belong and hopefully inspire them to keep going and stay true to their hearts. 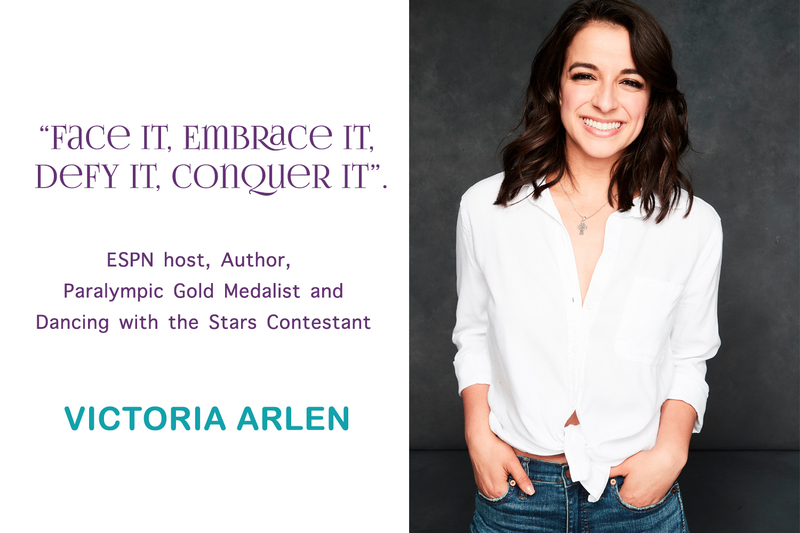 I recently had the Incredible privilege of spending some time talking with ESPN sportscaster, Gold Medalist and Dancing with the Stars participant Victoria Arlen for our platform. When Victoria was 11 years old she developed two rare conditions known as transverse myelitis and acute disseminated encephalomyelitis. This was an extremely rare scenario, and Victoria quickly lost the ability to speak, eat, walk, and move. She slipped into a vegetative state in which recovery was unlikely. Arlen spent nearly four years "locked" inside her own body, completely aware of what was going on, just unable to move or communicate. Doctors believed there was little hope of survival, and recovery was unlikely. Not only has she won a gold medal and been on dancing with the stars but she is an author, producer, ESPN sportscaster, Jockey Brand Ambassador and recently started the Victoria's Victory Foundation which is dedicated to offering support both emotionally and financially to help people achieve their own personal victory. While Victoria has an impressive resume what was so incredible and powerful of her was not only to give time out of her incredibly packed schedule to chat with me to help empower girls but her Vulnerability and Authenticity in the interview. Victoria candidly shares about how she was bullied for being in a wheel chair, bullied for being the underdog at the olympics, she shares how she chose her friends and kept her chin up during these tough times and so much more. She also shares how she wasn't a "cool" kid and how overrated it was. I got off that call humbled, inspired and so incredible thankful that I was able to create a space to allow her to share that with me because I knew of the impact that could have on girls. Last night my Alexa and Robert (dad) watched Victoria's interview together after dinner while I took a bath. Alexa came in excited after watching it and I asked a few questions, what did you like about it? What was the big takeaway for you? Her answers were comical, she loved that Victoria has a donut obsession and a donut tube like we do in our pool and we laughed and then I asked, what other stuff? She said she loved that part of "not having to be a cool kid" that all you need is one amazing friends and to stay away from the drama at school. My eyes welled, THIS is exactly what we had been talking about and there is only so much I can tell her as a mom, but hearing it again from someone as incredible as Victoria reinforced this for her. This morning on the way to school she brought it up again. It's her snack day at school which means she gets to select 3 friends to sit with for snack. She told me who she was inviting and I was surprised, not her usual "crowd" and I said, "why did you select those friends?" and she said, "well I was thinking about what Victoria said last night and these friends never have drama so that is who I want to be with, I don't want the drama". BAM! My heart was bursting in a way that I can't even begin to describe to you! THIS!!!! THIS IS EVERYTHING that I was hoping for and more and it's just the beginning of what we are doing and have planned. My heart bursts for joy not only for what this is doing for my girls but for girls all over and my wish is that this is just a part of what will help to keep them on the path of staying true to their hearts, to be kind and generous people and to be advocates for positive change in the world. THIS is Raising a Powerful Girl. ​To watch Victoria's Full interview, hear from other amazing women and girls and more please join us!